Promises: they’re easy to make, but hard to keep. Just ask the residents and landowners of West Harlem. For the last five years, a number of developments have been proposed along 125th Street, but most have fallen through. Take, for instance, Vornado Realty Trust’s ambitious plans for a 600,000-square-foot office building on the corner of Park Avenue that would have housed Major League Baseball’s new television network. That building never materialized, nor did a later development, planned on the same site, for a high-rise that included a Marriott hotel. So what’s the beef? Why are so many projects along 125th Street (as well as nearby Lexington and Morningside avenues) habitually planned and then abandoned? The answer, according to Community Board 10’s Paimaan Lodhi told Crain’s New York Business, is that developers are turned off by the empty stretches of land. “The 125th Street corridor can’t see its full potential if the majority of the lots are still vacant,” he said. 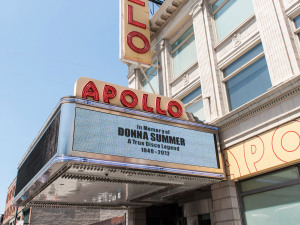 And yet, despite this series of false starts, the city is at it again, this time with the hopes of finding a developer interested in converting a 450-car parking garage near the Apollo Theater on West 125th Street into a 42,000-square-foot retail, office, and cultural complex. Here’s hoping they’ll follow through this time.